(NaturalNews) Responding to urgent requests from our readers to let them know which vegan proteins we've tested so far are showing the better results, we've begun posting protein product results at Labs.NaturalNews.com. Many readers were overjoyed when we posted our very positive lab results for One World Whey protein last week, but a large number of readers understandably wanted a purely vegan protein alternative. All of the numbers you see for these products are considered quite clean by industry standards. Hemp protein consistently tests clean in our lab, regardless of the manufacturer. From what we can tell so far, all hemp protein is very clean in terms of heavy metals composition. 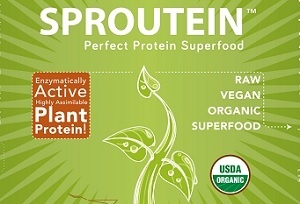 The really impressive result here is the Sproutein product from Sprout Living. To achieve an average lead composition of only 59 ppb is truly extraordinary for any kind of sprout product because sprout seeds themselves can contain lead. This is proof that the Sproutein manufacturing process is remarkably clean. What else is really fascinating about these vegan proteins is that most of them have fairly strong MCC numbers (Metals Capturing Capacity), meaning they are able to capture and bind with a quantity of toxic metals during digestion. The hemp proteins seem to perform the best in this regard, showing good capturing potential for arsenic, cadmium, mercury and lead. This means that consuming these proteins together with a meal containing those toxic heavy metals will result in less absorption into your body of those metals than would be expected. Most food products don't have such impressive MCC numbers. For example, check out the ho-hum performance of Kellogg's Corn Flakes, which only shows an impressive MCC profile for Mercury. Compare that to the MCC performance of, say, Ruth's Hemp Protein Powder and you'll see a huge difference. If you're wondering what MCC means, I am the inventor of the MCC methodology and testing protocol, and I explain it in the MCC video you'll find at the Forensic Food Lab Videos page. We've also made a decision to only post products in groups from here forward. For example, instead of posting just one cacao product, we will post up to 10 at a time. Instead of posting just one wheat grass powder, we will post several. We've decided to do this to allow people to make relative comparisons across a specific category. We've learned that individuals need this relative comparison to make better sense of what the raw numbers actually mean. We also plan to roll out a new row in the heavy metals results chart that reads, "Average results for this category" so that a person can see whether the current product being viewed is higher or lower than others in the same category. Watch for more labs results to be posted each week here at Natural News!